The last 10 years or so have seen an explosion of titles jostling for attention in the Young Adult fantasy genre, rendered even more popular with the success of The Hunger Games trilogy in both its literary and cinematic incarnations. Every so often, a new adaptation arrives on the scene, each one hoping to somehow dethrone Katniss Everdeen, The Hunger Games’ valiant heroine so memorably portrayed by Jennifer Lawrence. Yet, the Divergents and Maze Runners have unfortunately not come close to doing so, the latter two lacking both the deep narratives as well as nuanced and complex characters that were so successfully drawn in Games. 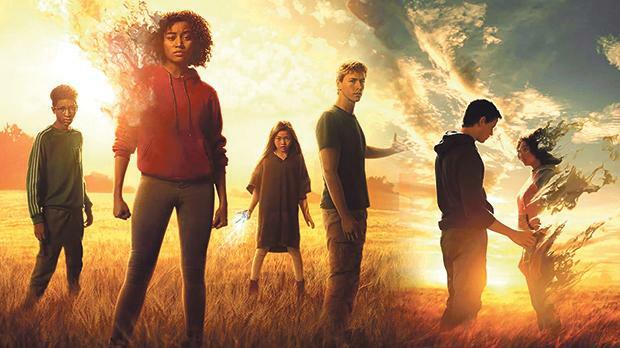 The Darkest Minds is the latest offering in what now feels like an oversaturated market and from the outset it is clear that it will not break the mould. The story opens in an America sometime in the very near future where 98 per cent of the child population has died of a mysterious disease. Many of the remaining two per cent of the surviving children develop special powers from the disease and are subsequently deemed a danger to society. One of these survivors is Ruby (Amandla Stenberg) whose life changes radically on her 10th birthday. Her mother does not recognise her and locks her in the garage in fear; the police arrive and Ruby is spirited away to a ruthless government camp where children are separated by colours according to their different abilities and potential levels of danger. Green is for those who have enhanced intellectual capacities, and are therefore considered ‘safe’. Then there is blue, gold, orange and red – the latter with pyrokinetic abilities, and are therefore considered as extremely dangerous. For the next few years she and her fellow inmates are forced into brutal child labour. Now aged 16, Ruby’s powers are developing and she is one of the ‘dangerous’ ones. With the help of an unexpected ally, she escapes the camp and goes on the run. She hooks up with some kids like her and they head for East River, a mythical place that is supposedly a safe haven for them. And yet, although Ruby is surrounded by her peers, there are still some within the group who are working for the enemy. The film is self-aware enough to acknowledge its presence in a genre that has produced greatness… at one point, the characters in the movie compare themselves to Harry Porter and his ilk. Yet, it is more likely to bring to mind the X-Men with its young ensemble of kids with powers who are unable and unsure as how to handle them. The script by Chad Hodge – based on the bestselling novel of the same name by Alexandra Bracken – does nothing more than recycle old tropes from all the afore-mentioned franchises. Furthermore, Jennifer Yuh Nelson’s direction is pedestrian, against some bland unimaginative backdrops of American farmland. The whole film lacks any tension, starting from the opening scenes which hurriedly go through exposition about the dreaded disease to the climactic battle scenes at the camp, peppered by action scenes that are serviceable at best. The film’s greatest failing is its complete underestimation of its audience. The YA demographic is much more sophisticated than the film seems to allow and, considering the turbulent times they are growing up in at the moment, I don’t imagine – not being a young adult myself – that people that age can identify much with the bland characters and unengaging story that is unfolding on screen, despite the efforts of its young cast. Stenberg, almost a veteran of the genre given that she appeared as the ill-fated Rue in The Hunger Games tries hard to inject some charisma into her character, Ruby. She does share some chemistry with Harris Dickinson’s brooding and troubled Liam, and there is a brief moment of interest with the appearance of Clancy (Patrick Gibson) who runs the camp – and who gets in the way of the burgeoning Ruby / Liam romance. However, there is little that the cast can do with the one-dimensional characters they are playing, characters which are laden with wooden dialogue, offering very few emotional paths to take. 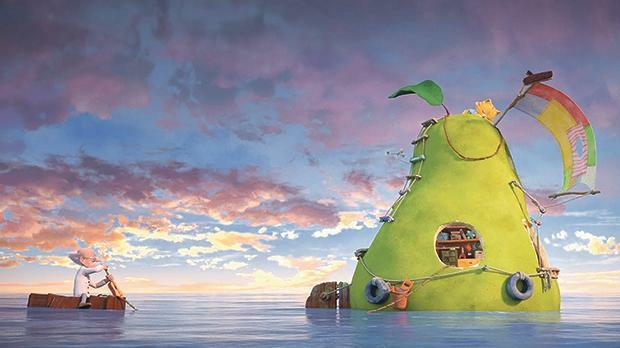 The Giant Pear – Mitcho and Sebastian, a fearful elephant and a courageous cat, embark on a perilous journey to find their town’s missing mayor in this animated adventure.